Usually, we can decide on our own who we charge for coffee and who gets his/her drink for free. For example, we have a lot of customers who come on a daily basis (since I'm working at the central station) and daily customers don't have to pay, at least at our store. Instead of payment we receive tip instead! :D Win-win situation, you might say. People who work at the central station too (there are lots of stores) don't get their coffee for free automatically but I always decide that for myself, depending on how the person approaches me. If somebody's like "Oh, I work here, therefore I should not pay for my coffee!" they have to pay. Please, I'm still queen of the cash, I decide who gets his coffee for free, tse! Erm, back to main story. So there was this girl working at Douglas central station who recently started buying her coffee at our store. She was always super sweet and polite, and somehow she always came when I was at the cash so I never charged her anything and just got her the coffee for free because I liked her. It's no big deal, we don't have to pay out of our own pockets. She always was super happy about the free coffee and I just enjoyed her enjoyment. O_O I really couldn't believe my eyes! She gave me a Jimmy Choo makeup pouch with two fullsize products and a sample size Dior face cream! Wow, I never expected that! I didn't met her since then so I couldn't thank her and say how extremely happy I was about that! :( Thank you, anonymous Douglas girl! Soooo amazing. Really. Some nice people still live in this world, faith in humanity a little bit restored. 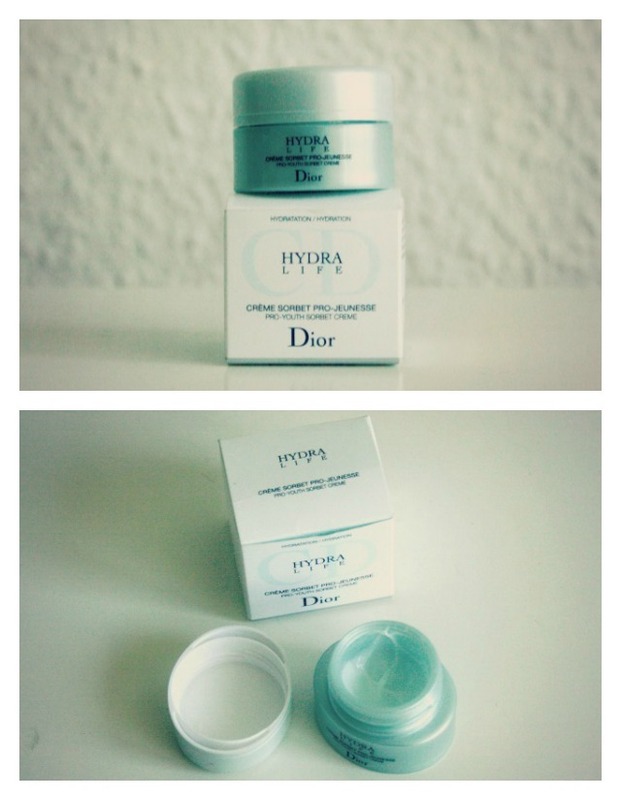 However, I want to share my thoughts about the Dior Hydra Life Moisturizer! I never ever ever ever had a product from Dior, I was so excited when I saw this! It looks quite small but you have to bear in mind that this sample size is 5ml, while full size is 30ml. So it's already 1/6 of the real deal! 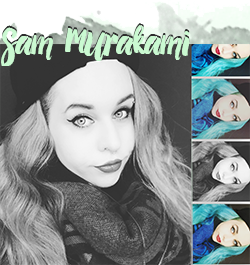 The cream itself has a light mint green color which I really like. IT SMELLS SOOOOOOOOOO GOOD. I have no idea what it exactly smells like but this is the best-smelling moisturizer I ever had. It has a very light texture and melts into your skin. It doesn't leave anything on your skin and gets absorbed really well. 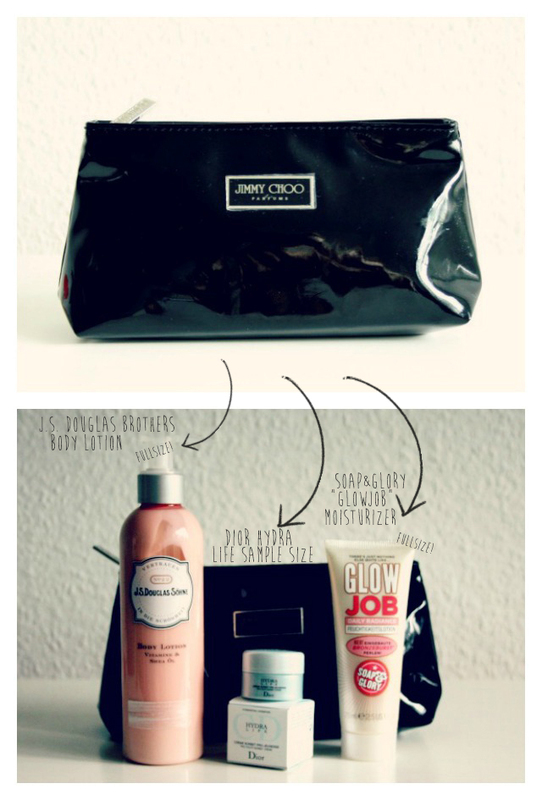 Hope you found this review helpful and I'll make sure to also review the Soap&Glory "Glowjob"! :) Have a nice week everyone!